The Supply Chain & Analytics department (formerly Logistics and Operations Management) encompasses supply chain management, business analytics, logistics, production and service operations management, operations research, management science, lean production, project management, and statistics. Supply chain management covers the whole supply chain, from procurement and sourcing through production or service delivery, to distribution to the end consumer. This includes the planning, design, implementation and management of systems for efficient deployment of personnel, facilities, vehicles, raw materials, in-process inventories, finished goods and related information or services. Business analytics includes techniques, skills, statistical methods, and modeling to develop better understanding and new insights for data-driven decision making. Supply Chain & Analytics graduates must understand the fundamental role of supply chains, be proficient in the use of technology and analytical methods, and be able to communicate effectively. 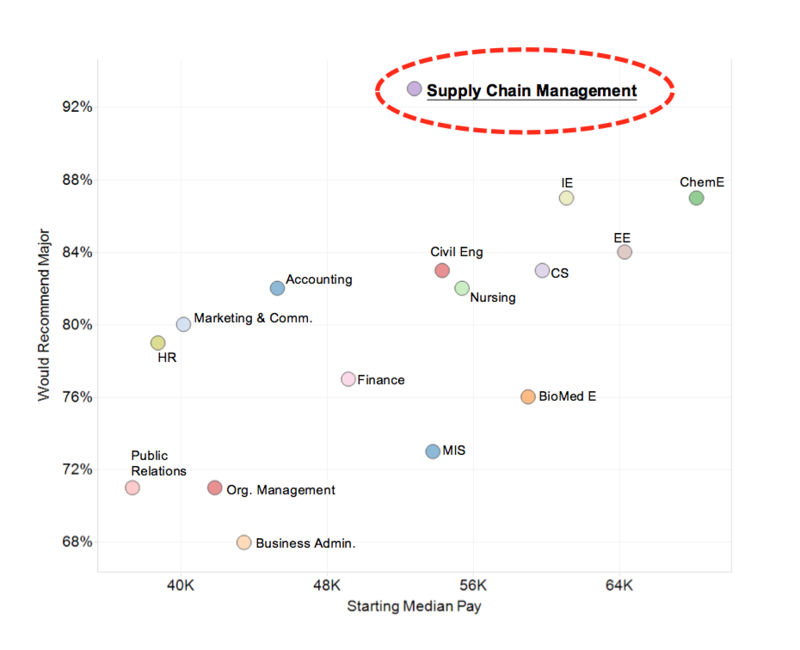 Supply chain management was recently recognized as the most recommended major by payscale.com. The Supply Chain & Analytics faculty and students are involved in a wide range of theoretical and applied research activities, often in collaboration with academic colleagues and industry partners. The department is supported by a very active and engaged Advisory Board. Faculty and students also play key roles in the College's Center for Transportation Studies and the Center for Business and Industrial Studies.